Of all the decisions you will make in planning your wedding, the one that will be the most important to you when you look back is the photographer you choose to capture the joy of your wedding. When you select Morin’s Studio, we promise to record your memories with care, concern and professionalism. We have been photographing Milford area brides and grooms for over 90 years. 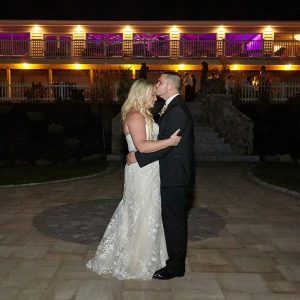 We offer full day and partial hourly coverage along with a variety of packages to ensure that your special day provides you with wonderful memories for life. Pricing includes up to 7 hours of photographers time, non-acetate multi size wedding album with choice of mat color, and choice of black & white, sepia, or color photographs. Pricing includes up to 7 hours of photographers time, expert custom album design, and a completed personalized leather wedding album. Our most popular option, this top of the line wedding package includes something for everyone! Minimum of 2 hours of photographer's time and $200.00 minimum print order. 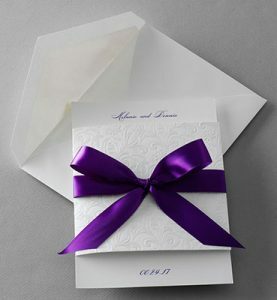 Morin’s has a full selection of beautiful wedding invitations and accessories. We offer a bridal discount of 25% off suggested retail prices. Choose your invitations and compare our prices. Free estimates at no obligation. Evening appointments available. In years to come your wedding photographs will be your most treasured heirlooms so do not trust your memories to just anyone. Call us today to set up a consultation so you can reserve our services. We are already booking into next year. You will never regret your decision!